After the velvet revolution, Armenia began losing a number of important markets. Positions have weakened in almost all major export markets. The growth rate of supplies to the CIS countries decreased more than two times, from 47 to 21 percent by the end of September 2018. A similar picture in relations with the EAEU countries. The slowdown in export growth is evident in the case of all EAEU member states. The activity of deliveries to Russia fell from 45 to 19 percent. The situation is not very different in relations with the EU countries. Supply growth has slowed almost three times in January-September 2018. Armenia has also lost ground in such markets, where trade surplus is almost always observed. Supplies of Armenian goods to the Georgian market fell by more than 55 percent. Compared with 153 million in the previous year, the export to Georgia was only $69 million in 2018. Armenia’s foreign trade balance with this country, which has been positive for many years, has now become negative, imports have exceeded exports. Armenian goods have lost their positions in a number of countries, inbcluding the U.S. markets, the United Arab Emirates, and Thailand. Exports to the United States fell by 28 percent. Deliveries to the United Arab Emirates also fell by the same amount. Entering of Armenian goods to the Thai market, where they tried to establish themselves with great difficulties, almost stopped. Changes occurring in the foreign trade sector do not meet the interests of the Armenian economy at all. On the contrary, these are adverse events in the economy. While domestic production needs investment, Armenia in the form of imports contributes to financing the economies of other countries. In addition, the negative balance of revenues and outflow of financial resources in the foreign trade sector also increased by about $700 million in 2018. If the figure amounted to $1.8 billion in 2017, it already reached 2.5 billion in 2018. These are only those additional funds generated in foreign trade, which last year was used to finance the economies of other countries. 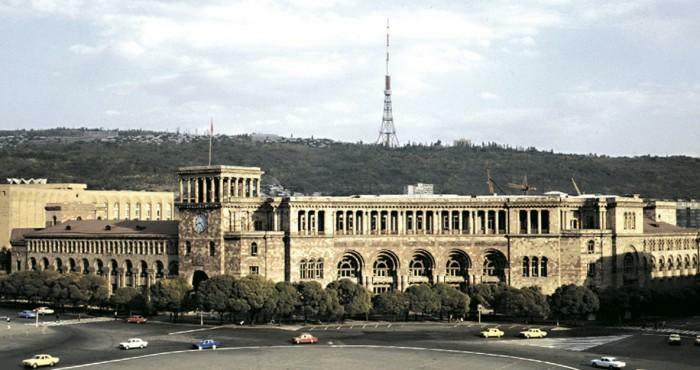 Continuation of this situation may have grave consequences for Armenia, which is already in a state of incapacity not only from an economic but also from a political and military point of view. Armenia can get out of this “hole” by resolving the conflict with Azerbaijan and rapprochement with this economically stable country. To achieve this goal, Armenia needs to end the occupation of the Nagorno-Karabakh region of Azerbaijan. This requires several resolutions of the UN Security Council. Let's see if the current Armenian authorities have enough wisdom to do it.